We are living in modern times where we use several machines to do tasks and save our energy. Tractors are important tools for farmers. It would not be wrong to say that no modern farm is complete without a tractor. The tractor is mainly used to plough fields or pull loads. 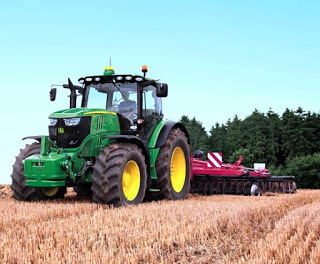 A wide array of equipment makes the tractor versatile agricultural equipment that can do many roles. Learn the best types of tractors from farm equipment manufacturers divided according to their usage. Also, get to know how the tractor works. 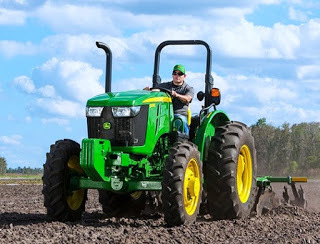 Without the multi-functionality of the tractor, modern farmer would be required to spend huge amounts to buy specialized vehicles for different tasks in farming. Let’s take a look at different types of tractors used in agriculture. It is a general type of tractor used for ploughing and pulling any other equipment using its drive. It is a good option for farmers due to its multi-use as farmers cannot afford different machines to carry out specific jobs. The Raptor DT is a powerful tractor model which is compact, powerful, reliable and productive. It is capable of fulfilling increasing demands of modern agriculture methods through its versatility. The Raptor DT is highly safe equipment that is designed to work in perfect harmony with the nature. The Vega series can be your ideal Row Crop Tractor. It has all basic elements of a tractor with steering wheel. 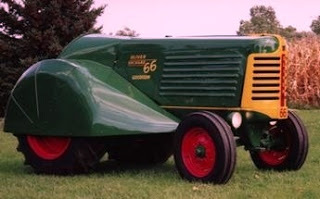 The tractor is designed to meet different requirements of farming activities. Their easy maneuverability and maximum performance makes them ideal for different use and terrains. The double steering system and their ability to take a turning circle in just 2 meters makes them perfect tractor for use in restricted places. The orchard type tractor is compact and no part of these machines hangs or protrudes outside the surface. These types of tractor have increased height so that plucking of fruits become easy. The small size of the tractor makes moving between trucks easy. The Cobram 40 and 50 models having equal size wheels have two drive versions- rear wheel drive and front wheel drive. They are ideal for orchard and vineries where heavy tractors are not suitable. They have optimum steering radius, ideal weight distribution and four wheel drive mechanism makes them perfect for use on difficult terrains. The Cobram tractors are less noisy and have emission control mechanisms that make them less polluting. These tractors are available in mono-directional and reversible version and the seat of the driver, wheel and dashboard can be reversed in less than 10 seconds. The controls on the tractor and the seat can be adjusted according to driver’s comfort level. 0 Response to "3 Different Types of Tractors Used in Agriculture"